For years, businesses have experimented and narrowed down the most effective measurements for productivity. Productivity can be measured in many different ways and at different levels, from the raw industrial output of an asset in a manufacturing facility, to the specific individual sales performance of a vendor. Today, employee output is no longer represented by vague descriptions, but by isolated figures that offer insight for improvement in specific areas, and that can be found on an HR dashboard for instance. There are a lot of KPI examples out there to measure progress and assess productivity Likewise, there are a lot of guides on how to be productive at work. 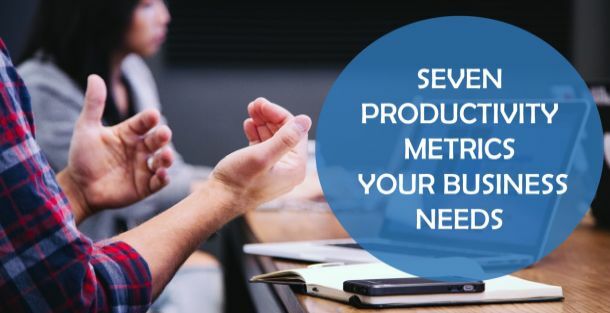 Each industry, business, and department has tailored their own definition of individual productivity that can be assessed by performance indicators: let’s take a look at our selection of 7 essential employee productivity metrics you can use to improve your business performance. Download our free summary of the essential metrics for your business! Productivity is the effectiveness of output; metrics are methods of measurement. They are, by definition, how businesses measure productivity, usually that of their employees. KPIs and productivity metrics can often act as intertwining categories. Sales goals and profit margins are all performance metrics examples and/or productivity metrics that businesses reference, but it goes much deeper than that. Sales brings in the profits; the management of those profits is heavily influenced by the metrics used to gauge productivity throughout a business. Because of this, there are some performance metrics examples and indicators to help increase employee productivity for every department. Professionals in human resources, management, customer service and more can all benefit from the data in their employee productivity metrics. The way we measure it can vary between businesses. For example, some businesses believe that letting their employees use social media during the work day can be a productive habit, while other employers consider it a reason for disciplinary action. Without these measurements, it would be more difficult to substantiate any assertions, one way or the other. These performance metrics examples are as interchangeable as they are targeted. You can conduct customized assessments per-department while still sharing certain KPIs across the board. Below are examples that can be both specific and universal in gauging output across departments. For more metrics, you can find inspiration in our HR reports article gathering examples and templates. 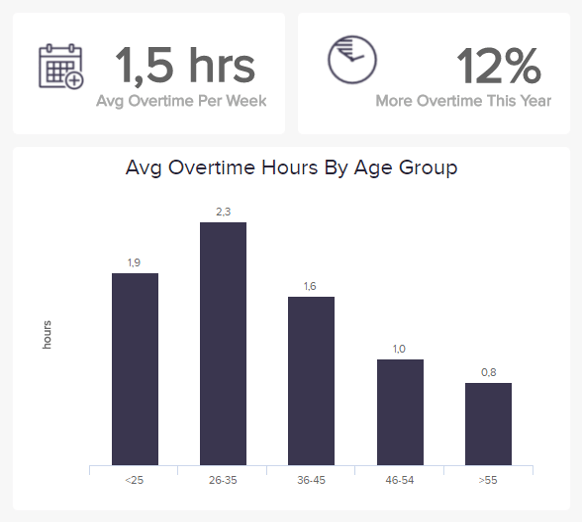 Overtime is a good way to gauge the cost and output of individual employees, though consideration of context is important for this productivity metric. For example, if the company has a spike in sales, people have to work harder to deliver on the promises they are selling. If overtime hours are a direct result of a heightened workload, this may be an indicator that you need to hire more talented employees instead of reviewing the ones in place. Also, look closer by evaluating OT in combination with other employee productivity KPI examples such as workload, you can see, and therefore work to prevent, the mistakes that inevitably happen in an overworked team. Another common symptom of an overworked team is a higher rate of absenteeism. Overall labor effectiveness is a multi-faceted metric that connects a number of details such as amount of staff, shift effectiveness, and more. This is essential for human resources departments because it provides the information they need to answer complicated staffing questions. Calculating this metric by dividing the total sales by the number of employees is a very straightforward and simple way to achieve the answer. Yet once again, while this is a great metric, there should always be other indicators to consider that impact productive output, such as the amount of product delivered, quality control, and more. There is a manufacturing element here that draws appeal to all industries. 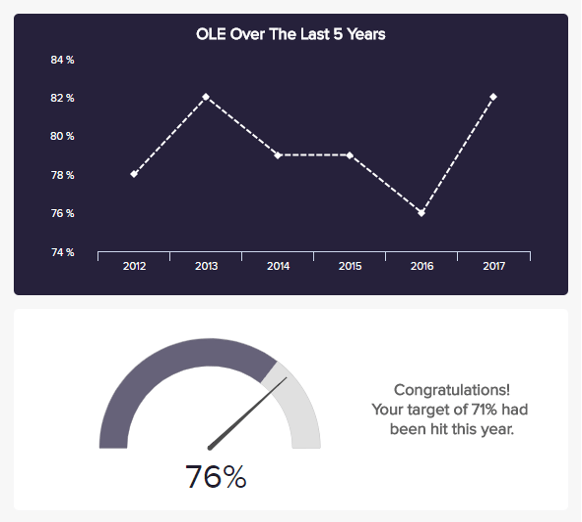 Professionals who calculate overall labor effectiveness are able to understand exactly what the company has achieved, and how efficient their workforce is on a regular basis. Turnover rate is an essential productivity metric used by human resources professionals to measure employee retention. Turnover is an inherent part of running a business. For better or worse, employees will come and go in accordance with their talents and desires. 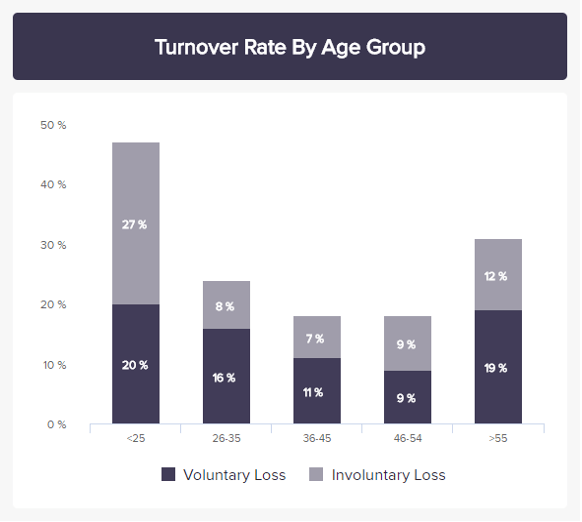 The turnover rate metric gives managers the ability to forecast a necessity for talent replacement, so that no leftover duty of a leaving employee goes unassigned. To calculate turnover rate, choose a time period. Month-to-month is a common method here. From there, divide the number of separations by the number of active employees during that time period. A low turnover rate is a sign of happy employees. It ultimately leads to, at the very least, lower recruiting and training costs. If your business has a high turnover rate, look to your managers to identify areas that need extra attention. For sales departments and most businesses as a whole, this is the most obvious productivity metric worth assessing. In order to measure sales growth in an actionable fashion, track the individual performance of sales employees against their targets and territories. Be flexible, see what’s working, what isn’t, and readjust as necessary to ensure better productivity from your sales employees. These KPIs can help you identify the team members most eligible for managerial positions, as well as those who may need a little more training in specific areas. This is a unique metric because it measures the performance of your human resources staff. Also, with this metric you will have to draw your own standards; the right or wrong will be determined in the quality of your hires. 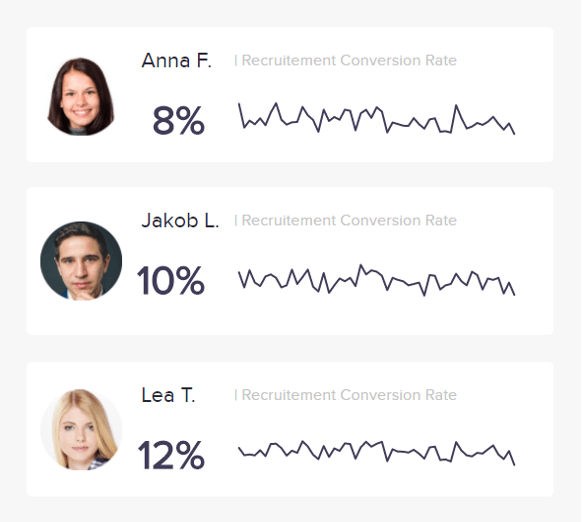 To measure your recruiting conversion rate, simply compare the number of applicants to the number of hires. If you consistently find outstanding people with little effort, stick to the ratio you are currently implementing. If time, talent, and consistency become areas of concern, it may be helpful to spread out that ratio or even isolate those factors with other metrics such as the following. As the search for the perfect employee continues, the clock ticks. The work can pile up, causing other employees to become overworked and overwhelmed, often resulting in underperformance. In order to set a point of reference for your human resources professionals, average time to fill is a helpful productivity metric. 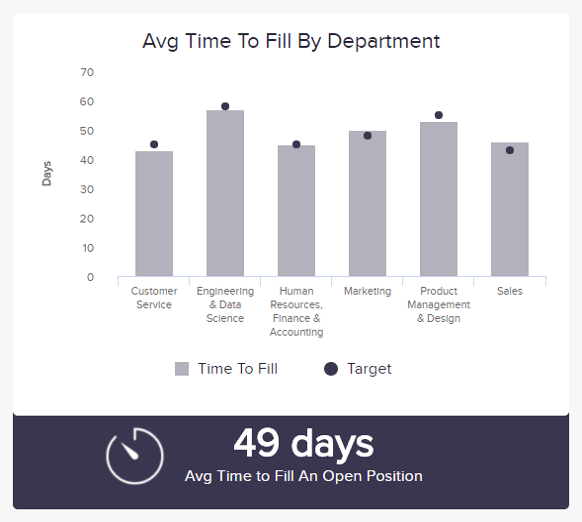 To calculate time to fill, record the time it takes from a job posting to be created all the way up until the hire. Keep in mind that there is no standard for time to fill. The number can be lowered or raised so long as the right employees are chosen with limited cost to the company. If either of those factors are not in place, the time to fill is worthy of experiment. Now that you’ve acquired the data, it is time to apply that knowledge and make your business more productive. But first, scrutinize your data. Remember that the circumstances surrounding these measurements should always be considered. Chance is certainly one of those circumstances. For example, a customer service agent who fields a significantly larger number of angry customers may not be the one causing the problems. Factors such as time of day, other workers on duty and more can be influencing that influx of negativity. Furthermore, that very agent dealing with all these scenarios could become your future leader in conflict resolution. Second, make sure your data covers a reasonable time period for evaluating your chosen productivity metric. 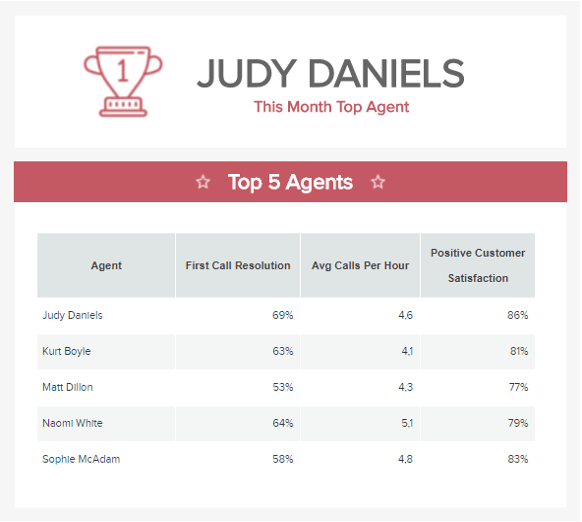 Track metrics for months, not days, so that the report is thorough enough to produce actionable feedback. Finally, we now know that the employees’ well-being plays a big role in their productivity. This is why setting up and tracking employee satisfaction metrics can be a relevant measure for you to take, so as to see how your different initiatives in the matter impact their productivity. An HR analytics software is the ideal tool to manage all the data you will collect after setting up your metrics. Once you’ve double and triple-checked your productivity KPIs, it is time to start making some changes. There are simple habits you can teach your employees to make them more productive. Perhaps there are changes to be made in staffing, scheduling, or operations. No matter what you decide to do about your data, make sure you keep recording. Future data will prove the effectiveness of your remedies, allowing for more productive solutions in the future. Business efficiency is a concept that is built over time within every company. Employee productivity is one of the biggest drivers of that efficiency. In order to boost performance, cut costs and retain both customer and employees, productivity metrics should be an accelerating part of the conversation. At datapine, we specialize in helping our clients enhance their businesses. To get started in measuring your productivity and performance, read more about our self service BI tool or sign up for a 14-day free trial today!